Mountain gorillas are playful, curious, and protective of their families. They are also one of the most endangered species in the world. For years, mountain gorillas have faced the threat of death by poachers. Funds raised by "gorilla tourism"-bringing people into the forest to see gorillas-have helped protect them. This tourism is vital, but contact between gorillas and people brought a new threat to the gorillas: human disease. The Mountain Gorilla Veterinary Project is a group of scientists working to save the mountain gorilla population in Rwanda and Uganda. 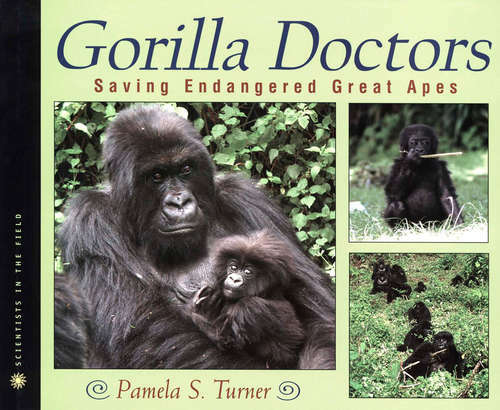 The gorilla doctors study the effects of human exposure, provide emergency care, and act as foster parents to an orphaned gorilla.